The Mercedes-Benz CL 55 AMG F1 Limited Edition is the world’s first roadgoing automobile equipped with an ultra-high-performance ceramic braking system. The engineers at DaimlerChrysler AG and Mercedes-AMG GmbH developed internally ventilated brake discs made from fiber-reinforced ceramics for this unique high-performance coupe. The use of ceramic brakes in the CL was part of a pilot project offering this technology early next year as optional equipment for the S and CL 55 AMG models. 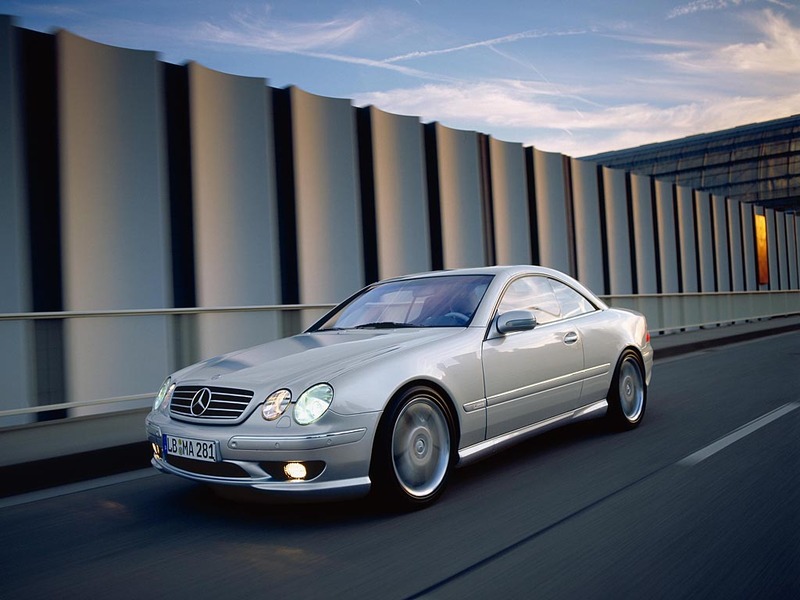 The model on which this stunning special edition was based is the CL 55 AMG safety. The new front brake discs of carbon-fiber-reinforced ceramics are approx. 60 percent lighter in weight than comparable brake discs of conventional cast iron. This significantly reduces the unsprung masses, with a noticeable improvement in driving dynamics. By virtue of these lighter brake discs the steering of the CL 55 AMG F1 Limited Edition is also more responsive and precise. The significant weight advantage also has a positive effect on suspension comfort car. However, these are by no means the only the advantages to be obtained from the high-performance C-BRAKE, which was first shown in the Mercedes-Benz SLR super-sportscar in 1999. The new material also exhibits a very high temperature stability. The maximum temperature load is up to 1400 degrees Celsius. This provides a level of safety when braking from high speeds which was previously unknown in series-production cars. The extremely low thermal expansion of the ceramic brake also reduces juddering when the brakes are hot. 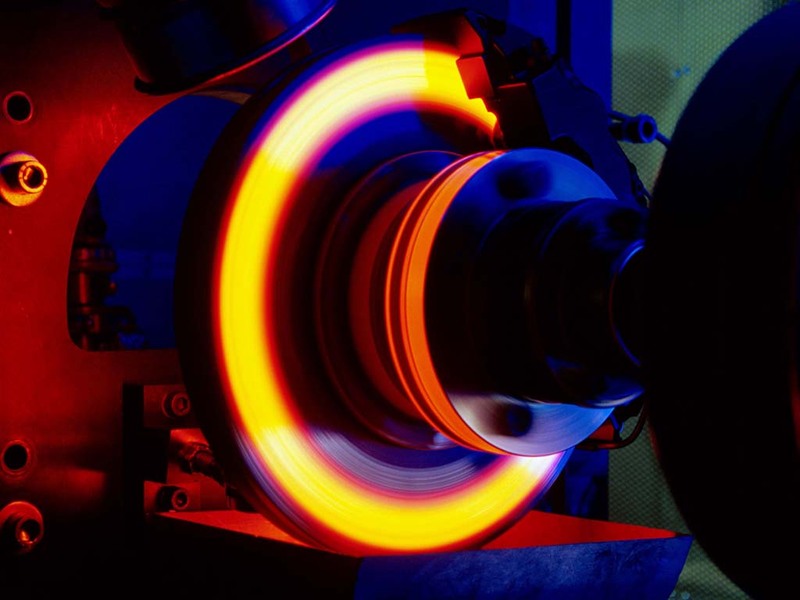 Brake squeal and juddering when cold – two familiar characteristics of cast iron discs – are also considerably reduced with the ceramic brake. 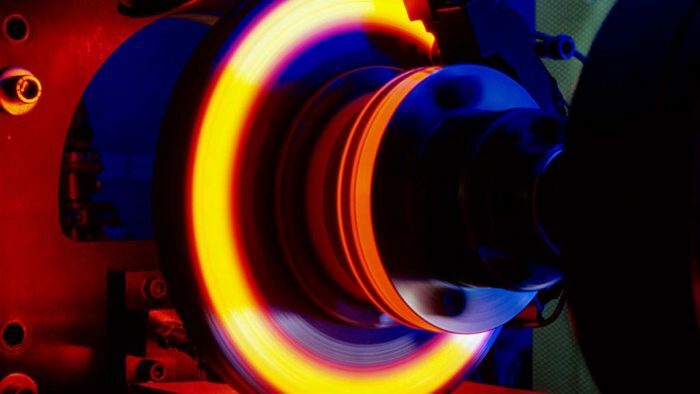 The extremely long operating life of up to 300,000 kilometers and the low maintenance also speak for the new, absolutely corrosion-free ceramic brake discs. But it is not only the internally ventilated ceramic brake discs that are responsible for the uniquely sensitive response and very short braking distances of the ceramic brakes of the CL 55 AMG F1 Limited Edition: eight-piston brake calipers which were specially developed for this fast high-performance coupe by the Formula 1 supplier Brembo reliably ensure the necessary deceleration. The design of these calipers was specifically tailored to the fiber-reinforced brake discs. The anti-lock braking system ABS, Brake Assist and the Electronic Stability Program were also carefully adapted to the new braking system.